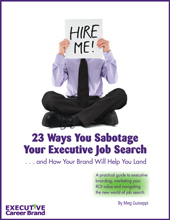 Let’s establish right off the bat that communicating your personal brand is no longer optional in executive job search. Before you write or update your resume and dive into a job hunt, you need to identify what differentiates you from others competing for the same kinds of jobs, with the employers you’re targeting. Defining your personal brand helps you do that. Use my Personal Branding worksheet to pinpoint just what makes you unique and valuable to those target employers. Okay. So now you know what your personal brand is all about, and you’ve written brand-reinforcing content (for your resume, LinkedIn profile and other career materials) to support your good-fit candidacy. What’s next? What are you going to do with all that great information and content you or someone else has written? How will you get the word out about your brand and the value you offer? If you’re smart, you’re going to get busy (or busier) on LinkedIn. You’ll take advantage of at least some of the many brand-building things this most important job search networking site has to offer. 1. Using LinkedIn shows that you’re social media savvy and up to date with the digital age. Think about recruiters and other hiring professionals viewing your LinkedIn profile to assess you as a candidate. If you have little to no presence on LinkedIn, or an anemic profile that doesn’t position you well, you may come off as out of touch. Plus, if you populate every applicable section of your profile with as much content as possible, LinkedIn suggests that it will be much more likely to land higher in search results for the relevant keywords you’ve included in it. 2. LinkedIn makes you and your personal brand more findable online. Job seekers with a stronger online presence are typically deemed more desirable candidates. You need to build diverse information online about you, your brand, and your good-fit qualifications. 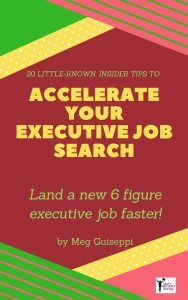 This helps you stand out to executive recruiters and other hiring professionals who are sourcing and assessing candidates. A strong LinkedIn profile will likely land on page one of Google search results for “your name”. That’s powerful stuff . . . a solid search result on the first page! Also important, your LinkedIn profile provides critical “social proof” corroborating the claims you’ve made about yourself in your other career materials (resume, biography, cover letter, other online profiles and web pages). 3. LinkedIn helps you identify people to connect and network with. Networking has always been the best way to land a good-fit job. When you’re in job search mode, you need to re-engage your existing network, if you’ve ignored them while you were happily employed. The bigger your network, the greater potential for more job leads to come your way. Among others, you need to expand your network to include people employed at your target employers. Why? Because a high percentage of people land jobs through employee referrals. 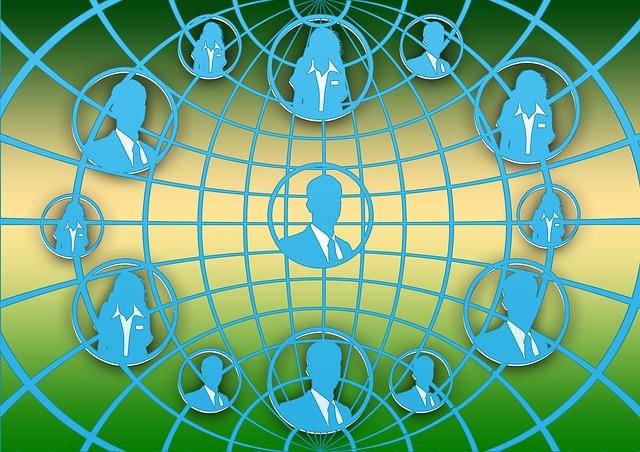 By connecting and networking with these people, you greatly increase the chances that they will recommend you internally. They are typically rewarded to bringing in a new good hire. You are rewarded with a good-fit job. With more than 500 million users (at this writing), chances are a good number of the people you need to network with are already proactively networking on LinkedIn. Find these people by looking at the LinkedIn company profiles of your target employers. Company profiles also offer a wealth of information to help with your industry, market and company research. 4. LinkedIn helps you communicate your brand messaging and demonstrate your subject matter expertise. As you’re building your network on LinkedIn, you want to get the word out about the value you offer. Use LinkedIn to broadcast what your brand is all about, zeroing in on your areas of expertise. ● Get into the habit of regularly posting updates in your LinkedIn stream. When you or your company has a major achievement, post it as an update. If you read a good article somewhere online that is relevant to your industry and/or areas of expertise, share it on LinkedIn. When you see an interesting LinkedIn update by someone else, share it in your stream. As you consider things to post, opt for things that will be of interest to your network, and will add value and be helpful to them. ● Post articles on LinkedIn’s blogging platform. Blogging is one of the best ways to demonstrate your thought leadership and knowledge base. Once again, LinkedIn has you covered with its own blogging platform that all members can use. Sometimes called Pulse, you can upload new articles, or white papers and articles you’ve posted elsewhere. 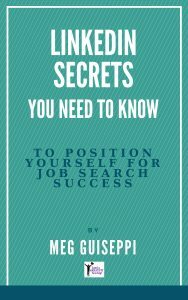 The idea is to publish content about the things you know best, representing the areas of expertise that your target employers will be looking for in candidates. You don’t need to write volumes for each article. Even short articles of only a few paragraphs can be highly effective, if they’re meaty and add value. When you publish a new article on Pulse, remember to also post it as an update, as noted above. 5. LinkedIn gives you tools to build brand evangelism. Brand evangelists are people who understand your value-offer, and spread the word about you online (via social media) and in real-life situations. Building brand evangelism works hand-in-hand with #4 above. Take my suggestions in that tip a little further. Tag people and use hashtags in your LinkedIn updates, shares, articles and comments. This sets you up for reciprocity. You support their brand when you spread the word about them by tagging them . . . they’ll (probably) do the same for you. This is one instance of “give to get” networking at work. The more you tag people in your network when you post updates and publish articles, the more likely you are to get tagged, thereby making more people aware of your value-offer. 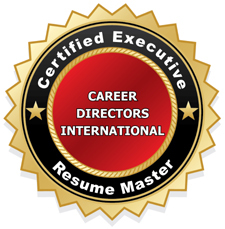 Does LinkedIn Make the Executive Resume Obsolete? 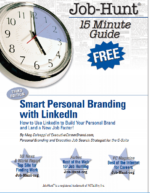 This article was first posted for my gig as the LinkedIn Personal Branding Expert on Job-Hunt.org. Previous Post: « Over 50? Is Personal Branding for Boomers, too?